Is it true that film in the twentieth century experimented with vision more than any other art form? And what visions did it privilege? 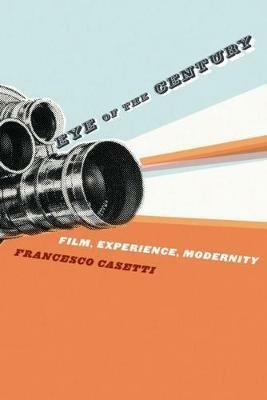 In this brilliant book, acclaimed film scholar Francesco Casetti situates the cinematic experience within discourses of twentieth-century modernity. He suggests that film defined a unique gaze, not only because it recorded many of the century's most important events, but also because it determined the manner in which they were received. Casetti begins by examining film's nature as a medium in an age obsessed with immediacy, nearness, and accessibility. He considers the myths and rituals cinema constructed on the screen and in the theater and how they provided new images and behaviors that responded to emerging concerns, ideas, and social orders. Film also succeeded in negotiating the different needs of modernity, comparing and uniting conflicting stimuli, providing answers in a world torn apart by conflict, and satisfying a desire for everydayness, as well as lightness, in people's lives. The ability to communicate, the power to inform, and the capacity to negotiate-these are the three factors that defined film's function and outlook and made the medium a relevant and vital art form of its time. So what kind of gaze did film create? Film cultivated a personal gaze, intimately tied to the emergence of point of view, but also able to restore the immediacy of the real; a complex gaze, in which reality and imagination were combined; a piercing gaze, achieved by machine, and yet deeply anthropomorphic; an excited gaze, rich in perceptive stimuli, but also attentive to the spectator's orientation; and an immersive gaze, which gave the impression of being inside the seen world while also maintaining a sense of distance. Each of these gazes combined two different qualities and balanced them. The result was an ever inventive synthesis that strived to bring about true compromises without ever sacrificing the complexity of contradiction. As Casetti demonstrates, film proposed a vision that, in making opposites permeable, modeled itself on an oxymoronic principle. In this sense, film is the key to reading and understanding the modern experience. Francesco Casetti is full professor at the Universita Cattolica in Milan where he teaches the study of cinematography and is the chair of the Department of Media and Performing Arts. He has also taught at Yale, the University of California at Berkeley, and the Sorbonne. He is the author of Inside the Gaze: The Fiction Film and Its Spectator and Theories of Cinema, 1945-1995.